Virginia leaders have reached an agreement on tax changes, which will allow the state to start processing tax returns and refunds and will provide additional refunds later this year. WASHINGTON — Virginia leaders have reached an agreement on tax changes, which will allow the state to start processing tax returns and refunds and will provide additional refunds later this year. The plan set to be approved in the House and Senate next week, and approved in principle Friday morning by the Senate Finance Committee, would give many Virginians a $110 tax refund this fall, raise the standard deduction next year, avoid any cap on state deductions for property taxes, and include business tax breaks. The changes are meant to offset state tax increases that are a result of the federal Republican tax cut bill. 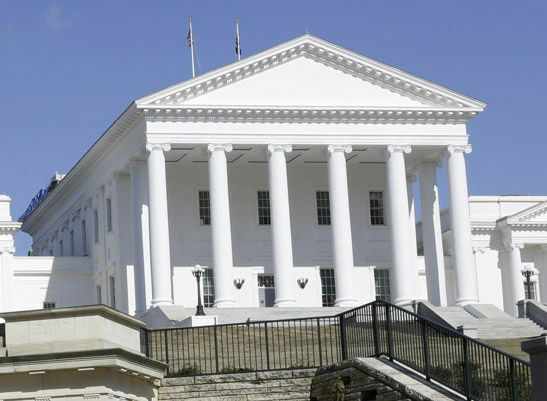 Many General Assembly Democrats have disagreed with the Republican proposal, preferring targeted relief for lower-income Virginians, while spending some of the other money on key priorities as initially proposed by Gov. Ralph Northam. In the Senate Finance Committee, both Republicans and Democrats praised the negotiating process on the measure, including the involvement of Gov. Ralph Northam’s Finance Secretary Aubrey Layne. Democrats in the General Assembly had spoken out against the underlying Republican bills earlier in the week over concerns they did not do enough for lower-income Virginians or allow enough money to be spent on key priorities. While amendments are planned to ensure people making less than $50,000 a year benefit from the tax changes, the proposals will mean additional spending proposed by Gov. Northam will be completely eliminated. In a sign the bills will pass by wide margins or even unanimously, Senate Majority Leader Tommy Norment moved Friday morning to add an emergency clause back to the bills, which will allow them to take effect immediately upon the governor’s signature, which could come as soon as next week. Virginia cannot process tax returns filed this year until lawmakers and the governor sort out what will become law and when any changes would be effective. Rules that set different deduction policies for state as opposed to federal returns will require Virginians use additional forms for state taxes either this year or next.